Beyond-Bedding: Animal Prints are IN! What's hot this season?! Animal prints! Take a walk on the wild side by easily transforming any room from dull and boring to stylish and trendy with funky animal prints. 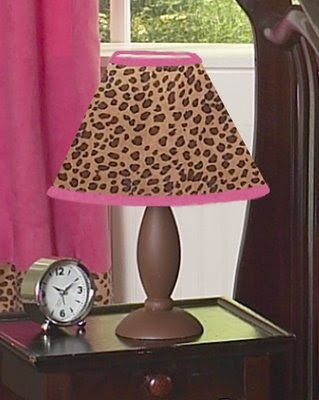 There are so many different ways to go when spicing up a room with animal printed decor. From neutral cheetah prints to tiger patterns and vibrant zebra stripes, you just can't go wrong with any of these! Zebra is definitely the hottest this season. A pink and zebra striped bedding set is the ultimate in style. Perfect for your little safari girl looking for an adventure. Whether you're decorating your own bedroom and are looking for a more sophisticated look, go with a simple yet classic black and white striped bedding set. Looking to add some color? Decorative throw pillows and window treatments are a great way to incorporate color into the bedro om. You do however want to make sure you stick with an overall theme. 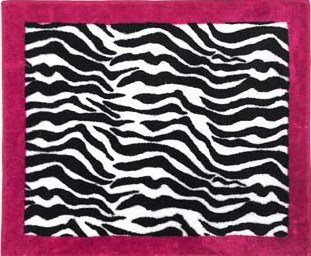 If you choose a zebra bedding set pick one or two accent colors to stick with throughout the rest of the room decor. If you're apprehensive or want to see how these funky patterns will enhance a room, start with animal printed accessories. A throw rug, lamp shade or window valence is a great way to add some flare without drastically changing the entire look of a bedroom. MLB-Bedding.com has best selection of MLB Team Bedding, mlb bedding, MLB Logo Bedding and kids bedding with huge Discounts. MLB Bedroom gear, baseball blankets, baseball Pillows, Comforters, Valance. this is so lovely, like it!